A while ago, there was a discussion about the use of logos in slide decks and WordCamp videos. A consensus was reached as to what the permitted guidelines should be, but this was never documented in the handbook and has not been made clear to both organisers and speakers. Speakers are allowed to include their company logo in their slides, but only in an optional opening/closing informational slide and not throughout the presentation. This is fine even if their company is not a sponsor of the event. Sponsor logos at the venue (banners, podium, etc.) that are captured on video are fine to leave in the published video. Similarly, a speaker can wear clothing with their company logo on it, even if their company is not a sponsor. No company logos of any kind are to be added in post-production. This includes the speaker’s company, event sponsors, the post-production company, or any other company logos. With that in mind, we now have two additional pages in the handbook – one for speakers with the full slide deck guidelines and one for organisers specifically focussing on what can be included in videos. Going forward, all organisers will be expected to ensure that speakers follow these guidelines with their slides. You can do this by making them aware of the guidelines and vetting their slides before the event. This rule will apply from today only, so it will not affect to any videos filmed before today (Monday, 8 April 2019). To clarify the intention here – this isn’t to stop companies from gaining exposure (that happens naturally when someone is speaking), but rather to make the content the main focus and intent of the slides rather than any kind of company promotion. It’s also worth noting that WordCamp speakers are chosen based on their knowledge and experience as individuals and not their company affiliation, and company promotion throughout a slide deck suggests that the opposite is true. An informational slide with the speaker’s company makes sense as information about who is speaking, but the rest of the slide deck should be dedicated to the content being presented. “Logo” also includes plain text names of the company and social media handles. Personal names are fine to include on every slide if you wish, even if you are a freelancer and your name is your “brand”. These rules do not (currently) apply to presentations at meetups. Contextual mentions of your (or any) company are still fine as they will be a part of the talk content, which is what this rule is designed to enhance. Are you wondering how the last WordCamp Incubator went last weekend? Pinging @adityakane and @bee for letting us how your Incubator went. Are you wondering how the WordCamp Incubator is going? Well, this is the time of our monthly update about the WordCamp incubator in Kota Kinabalu (Malaysia). Pinging @adityakane for letting us how your Incubator is going. Yes, we’re back! this is the time of our monthly update about the WordCamp incubator in Kota Kinabalu (Malaysia). Pinging @emanuel_blagonic for letting us how your Incubator is going. Our bi-monthly Community Team chat is happening this Thursday, 15 November 2018. Meeting times are detailed below. We use the same agenda for both meetings in order to include all time zones. With the increase of ticket prices, should we also increase WordCamps’ total cost per person? There is a lively discussion going on about handling the camera kits and video/audio recording in general. Deadline is December 14, leave your feedback! We are getting ready to send the December newsletter for Meetup organisers: any suggestions? 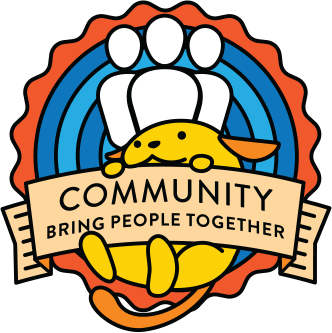 Will you attend WCUS Contributor Day? In person or via Slack? Here is what we aim to work on. Updates on the Incubator program. Are you wondering how the WordCamp Incubators are going? Ping to @remediosgraphic and @emanuel_blagonic for you both to tell us how your Incubators are going. WordCamp Blocks: Round 1 Designs – After a fruitful conversation about all the blocks that we could use to replace shortcodes in the WordCamp websites, the first round of designs is here! Proposed 2019 Global Community Sponsorship Program – The Global Community Sponsorship working group has a proposal, please read, leave feedback. Especially if you have been a global sponsor or are considering becoming one. WordCamp Incubator 2018 Update Thread: October edition – If you want to know more about how the Incubator Program is going read the comments! Please don’t add sponsor or producer logos to the videos. Please don’t include sponsor or production company logos in the final videos; WordPress.tv is a non-commercial community site and not a place for advertising. The problem is that this kind of thing becomes very hard to moderate as banners included in the footage can generally not be removed. As a result, the ‘no logos in videos’ rule has been very flexible and not implemented reliably. To remedy that, it would be valuable to re-examine this issue and develop more precise expectations. This will help prevent confusion and the possibility of WordCamp videos with valuable content being blocked from WordPress.tv. Should we ask allow logos of event sponsors to be included in WordCamp and meetup videos? This would include logos in visible banners, as well as on speaker slides. Should we allow logos of event sponsors to be added in post-production? If a speaker includes their company logo in their slides, but their company is not an event sponsor, should we include their slides in the video? Should we allow production companies to add their logos in post-production? Our bi-monthly Community Team chat is happening this Thursday, 1 November 2018. Meeting times are detailed below. We use the same agenda for both meetings in order to include all time zones. Should WordCamp Websites Publish Sponsor-Provided Content? – There is no deadline, if you have something to add please do! Managing Online Classes – The Diversity Outreach Training team is looking for input on tools. Progressive Web App for WordCamps – Expanding the scope of the PWA created for WordCamp Europe 2018. What features should be there? Have you ever wondered where the recaps for our chats are? They are in the Updates blog, together with updates from other teams. It’s a great way to catch up with what’s going on in the Make teams.